Text of my acknowledgment made to Trixie Harvey at the last Board meeting. Trixie Harvey, half of the prodigious BruceandTrixie Harvey died recently. I have known Trixie for 25 years. I met her and Bruce on election night in 1993. 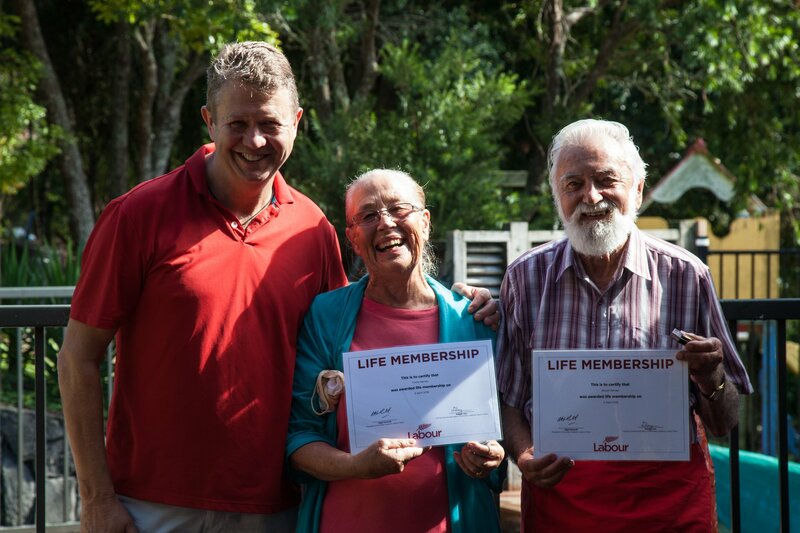 They were stalwart members of the Titirangi Labour Party and I had become active in the party again after a Rogernomics caused hiatus. Suzanne Sinclair was elected MP of the seat in an upset and we had a really enjoyable night toasting her success and working out how to right all that was wrong with the world. And after that night I slowly become quite active in the party and the more active I became the more time I spent with Bruce and Trixie. Our engagement with each other increased considerably after I became part of the team that saw David Cunliffe elected to Parliament to represent the local area in 1999. This election night party was another occasion to celebrate and to reflect. Then when I became active in local body politics in 2000 I began seeing them very often. Because they were so active. It seemed that every time there was an environmental issue or a community issue Bruce and Trixie were there. I was amazed at how much they were involved in. How could two nominally retired people achieve so much? Their typically understated forward does not do justice to the outstanding manuscript they produced. Other groups also benefitted from Bruce and Trixie’s passion and dedication. In no particular order these included friends of Whatipu, Forest and Bird, Waitakere Conservation Network, pretty well any group you could imagine. But Trixie was not only an energetic dedicated activist. She was highly intelligent and contributed significantly to New Zealand’s understanding of and reliance on kiwifruit. She was the mother of Lindy, Mark and Hannah. In a lifetime she packed in so much, achieved great things and touched so many. Her funeral was a touching, uplifting event, a real celebration of her life. It left us all in awe that she had achieved so much and with such style. Commiserations to Bruce and the Harvey whanau. Trixie will remain in our thoughts and memories.